Ian is a precious little boy that loves being held by his caretakers and waves his hands and laughs loudly when someone calls his name. Ian was born premature and also has a skin rash (possibly eczema). His file indicates that he has grown stronger since birth and his physical condition is now normal. By the age of 10 months, he could raise his head while lying on his stomach. He can now roll from his stomach to his back and sit alone steadily. 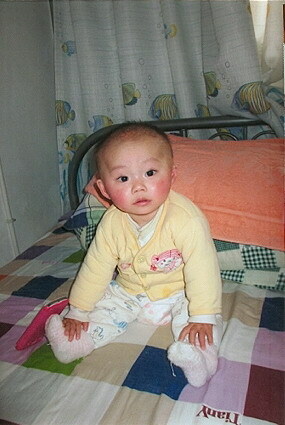 Ian is from one our orphanage partnerships and is designated as LID only. A family must have a dossier logged-in in order to adopt Ian. If you have a completed dossier and are interested in reviewing Ianâ€™s file, please contact our China program staff at 800-429-3369 or email waitingchildren@awaa.org. APPLY HERE to adopt Ian or start your adoption for another Waiting Child!